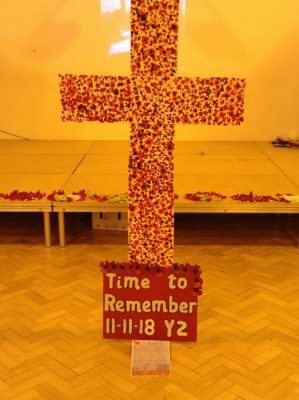 We recently held a whole school Peace Mala event for Remembrance day at Newall Green primary school. We started with a whole school assembly where we thought about Remembrance and peace and held a minute’s silence. We then moved away into our year groups and worked on an activity together. 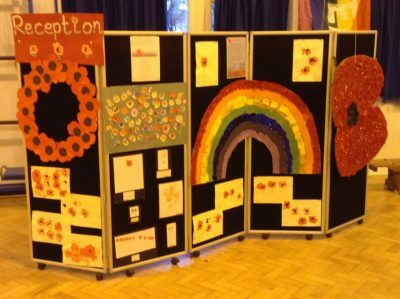 In Nursery and Reception, they created poppy pictures and a large poppy and rainbow using a variety of different materials. In year 1, they created their own lolly pop crosses and decorated them independently. 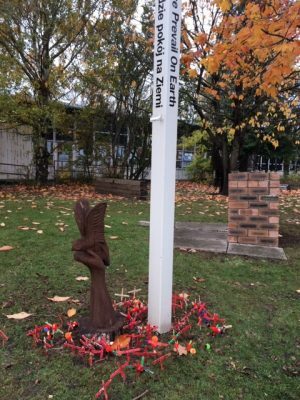 Each child then placed their poppy cross around the peace pole in the peace garden. 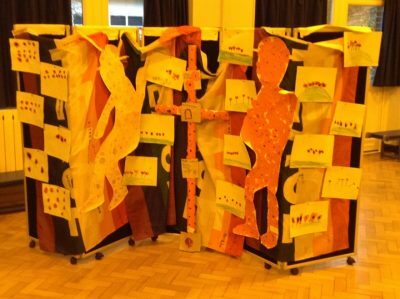 In year 2, each child created their own poppy using finger painting on a large cross and then created their own soldiers as a class. 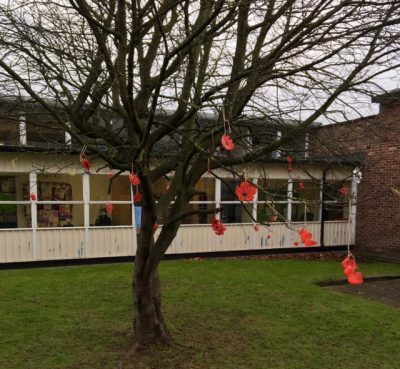 Year 3 used plastic bottles to create poppies which have been hung on the trees around the peace pole in our peace garden. 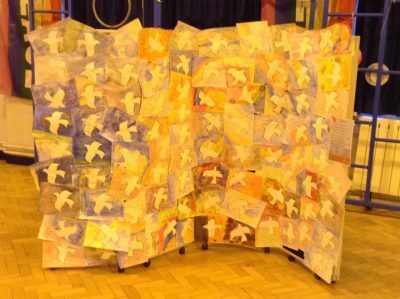 Year 4 used watercolour to create a peace picture with peace words written around the doves. 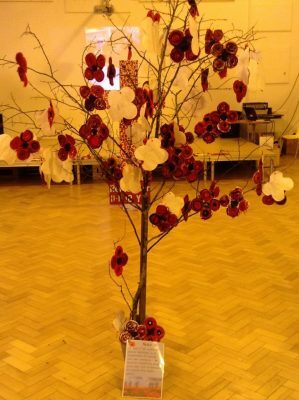 In year 5, they used different shades of red wool to create their own textile poppy which hang on a peace tree in the school. 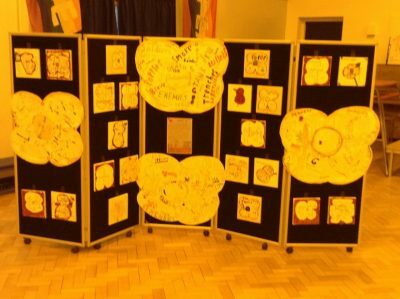 In year 6, they created wordles in the shape of poppies with all the words associated with Remembrance and peace inside. At the end of the day, we invited parents in to celebrate what the children had done and to have a go at some other activities with their children. Everyone really enjoyed the day and it was a fantastic first event for Peace Mala in our school this year.